There's a new Aliens game in the pipeline, and reports are that it will be a shooter, destined for modern consoles and the PC. The last AAA Aliens title, Alien: Isolation, was more of a stealthy scare-em-up than a shooter. Before that we had the poorly received Aliens Colonial Marines, so some gamers will surely be looking forward to a modern Aliens shooter. 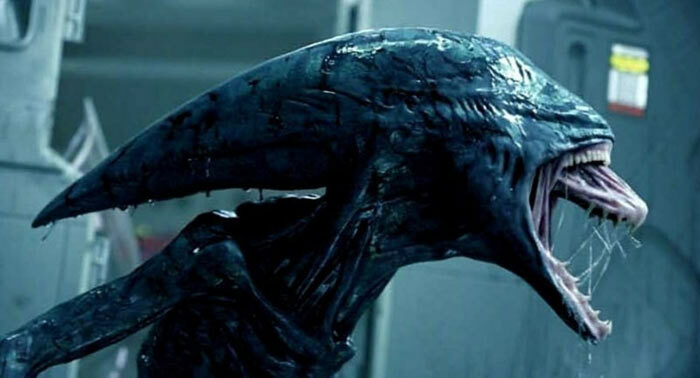 Sega has been the long-standing publisher of official 'Alien' titles thanks to its agreement with 20th Century Fox. However, last year Fox set up FoxNext games as its games division, and this division will be taking the development reins from now on. FoxNext has acquired San Francisco Bay area developer Cold Iron Studios for the task. Cold Iron Studios was formed back in 2015 by former members of Cryptic Studios (Neverwinter, City of Heroes) and includes developers experienced from working on the likes of Doom, Borderlands, Metroid Prime 3, BioShock Infinite, and others. One tantalising aspect of the upcoming game that we know at the present time is that it will "explore areas of the universe that fans haven't gotten to experience." FoxNext with the help of Cold Iron Studios, will help "deeply explore the worlds of our franchises, starting with the Alien universe," said FoxNext Games president Aaron Loeb to GamesIndustry.biz. Mr Loeb claims to be a fan of Cold Iron Studios previous work on titles such as City of Heroes and Star Trek Online. Ahead of the Aliens themed gaming release FoxNext will be launching its debut title, Marvel Strike Force, a free-to-play role-playing game on mobile devices, shortly. Disney recently acquired 21st Century Fox for $52.4 billion but it is uncertain what, if any, impact that will have on FoxNext. Alien: Isolation, was more of a stealthy scare-em-up than a shooter. Before that we had the poorly received Aliens Colonial Marines, so some gamers will surely be looking forward to a modern Aliens shooter. All gamers will want something that actually plays, isn't crippled by pervasive DRM and with no in-game purchases, loot boxes or similar clap-trap. A good number would also like something that doesn't rely on Origin, Steam or similar. Played Alien Isolation? That was awesome. If you're playing it on the PS4 it even listens to ambient sounds around you through the controller and if it gets too noisy the alien appears and kills you. Alien : Isolation is truly fear of the unknown, rogue androids trying to kill you then there is this friggin Death on sight vision of an Alien, so kudos to Creative Assembly on that. But now another dev going to handle this game is indeed a lot of pressure, of course I just hope they can somehow bring back the horror of Isolation and the action from AVP. Aw hells, another Aliens game???!!!! So many games have taken so much from the 1986 film, that there's nothing left for an actual Alien game to bring to the table any more… and I say this as a pretty darn serious Alien fan. Speaking of alien games, I quite enjoyed the alien trilogy game back in the ps1 era, a good and proper remake of that type of idea done properly would be awesome, it would be the perfect opportunity to mix the horror of isolation with a good shooter.